Did you know that you can increase your home’s value by remodeling the exterior of your home? It’s easy to focus solely on remodeling the interior of our home, but curb appeal makes the important first impression to anyone who approaches the house. As your home ages, it’s likely the exterior will need some updates. Here is a few exterior remodels to increase your homes value. The windows of your home are something that can affect both the outside and inside of your house. Old and faulty windows can cause issues retaining the temperature inside the house which makes you utilize more electricity trying to regulate the temperature. Older windows can also cause a buildup of condensation between the panes of glass. Larger gaps can even create a draft in your house. Other cosmetic issues could be things like cracks in the glass, foggy windows, and loose casing around the frame of the window. If your house has paint that is fading in color or is peeling, it’s time to look into getting new paint on the walls. Years of exposure to weather conditions like heat from the sun, rain, and dirt can make your home lose the bright color that it once had. A new coat of exterior paint is an easy way for your house to get a major refresh. Choosing a new paint color for the exterior of your home can dramatically change how your home looks and the amount of curb appeal it has. Just like the exterior walls of your home, the finish of your front door will eventually need some love. Harsh elements will wear away the paint and material of the door. You might be able to get away with just sanding it down and repainting it the color of your choice. This will make the color look new and fresh. However, if the wood begins to deteriorate and wear away, you might need to replace the door completely. Having the door become sticky and hard to open is another issue that can happen. This is from the structure of the home slightly moving which makes the structure no longer level. Depending on where you live, builders use different materials to construct the side of the homes. Popular materials are fiber cement composite siding, stucco, brick, and wood. If these materials are starting to chip, crack, or peel, it’s probably time to consider fixing or replacing the siding. You’ll need to remove any paint on the siding before you work on fixing the material. 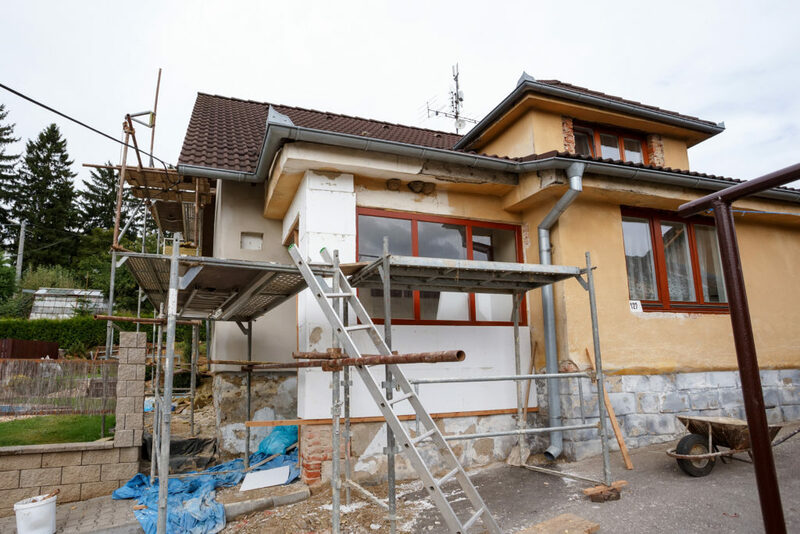 These exterior remodeling tasks will help improve your home’s curb appeal which can increase the amount of return on investment you receive if you intend on selling your home. Fitzpatrick Painting Inc. aims to provide cost-effective and the best quality workmanship to those requiring professional painting services. Continue reading through our blog for more painting ideas, inspiration, and information. 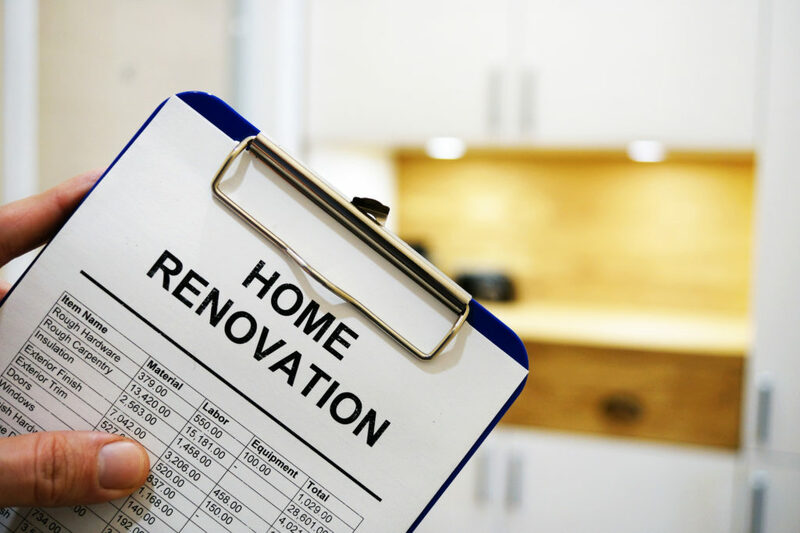 The average interior renovation costs for a 3,000 square foot home is $36,121, but with poor planning, that number can easily balloon to $50,000 or more. If you’re considering a home renovation, but don’t have that much extra cash laying around, you need to be careful when you design your budget. 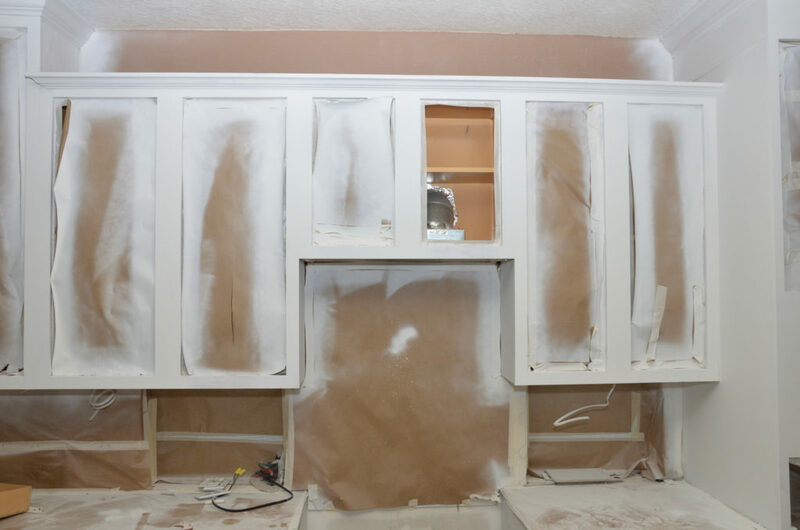 Forgetting the cost of an installation or running into unexpected costs for your finishes can turn your project upside down and leave you frustrated, disappointed, and living in an unfinished work zone. Read on to learn the most important things to take into account when you’re designing your budget so you can make your dream home a reality. Whether you are updating a bathroom or building out the kitchen of your dreams, there will most certainly be unexpected costs. But, you still need to try to make a detailed budget for your project. One way to do this is by creating a three column chart. In the first column, write the word ‘budget’ and list the amount you want to spend on each item you need for your renovation. Then in the next column, write the word ‘projection’. Here you will list the estimated cost for an item after you’ve done some research. Finally, once the product is ordered, you can fill in the third column, titled ‘actual’. With this system, you will be able to revise your budget as you go and keep track of where your money is going. No matter how much research you do into your renovation project, there are still bound to be costs you didn’t consider. These could include unknown manufacturing costs or delivery fees. Make sure that you set aside additional money for these kinds of costs so that you don’t blow your budget early on in your project. Even if you think you know exactly what you want in your home, as you go through the renovation process, you are sure to discover that there are details you want to change. Changing your mind on a finish is a very common occurrence. So, you need to make sure that you set aside a portion of your budget. You don’t want to run out of money to finish the job because you spent your whole budget on removing and replacing your original tile choice. Construction projects are often delayed. Try to estimate an additional 25% of time onto the length that your contractor budgets for your renovation. Make sure that you have somewhere you can stay for that length of time. You don’t want to have to move into a construction zone in a hurry. Now that you know how to properly budget for interior renovation costs, you’re ready to hire a contractor and get to work. At Fitzpatrick Painting and Construction, we believe in honesty and integrity and would love to help you create the home of your dreams. Contact us today for a quote. Are you sick of looking at the mauve colored dining room walls you’ve had for years? Maybe the furniture in your living room is starting to look tired and dated. If so, it’s time to change things up! Taking on some interior design projects will give your home the burst of energy it needs. You might find that the changes revitalize your mood as well. The only thing that might be holding you back is the time commitment. Who has the time for planning and executing a home makeover, big or small? Thanks to technology, you can get some help with the development stage. 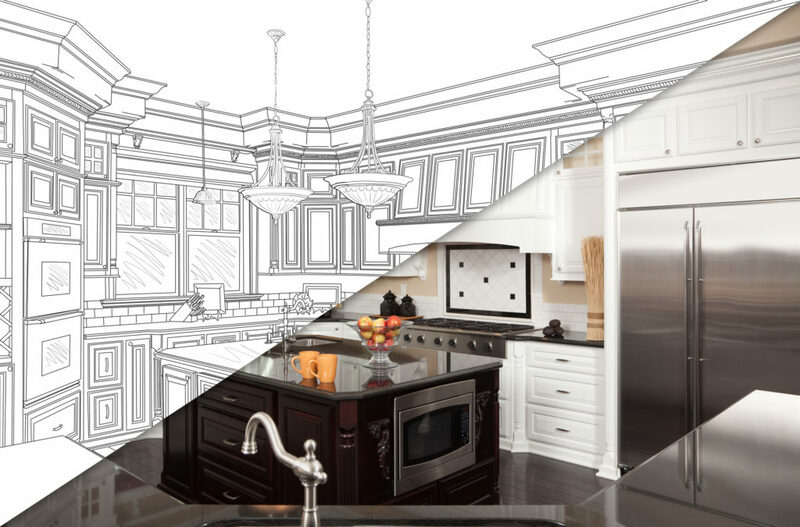 Planning your next home renovation project is easy when you can do it on-the-go! 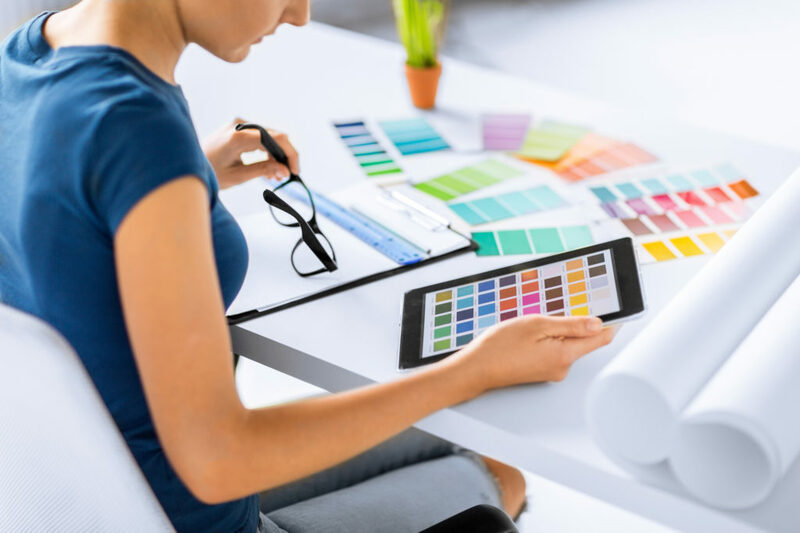 Read on to learn about 5 amazing interior design apps that will make the process easier. The Home Design 3D app makes it easy to visualize what your interior design plans will look like. With it, you can create a floor plan of the room you’re working on in 2D or 3D. You can also pick out furniture from the app to place in the floor plan. If you find something you like you can even buy it. Don’t waste an hour wandering around the interior paint aisle of a home improvement store. Instead, use the Tap Painter app to pick out your color from the comfort of home. 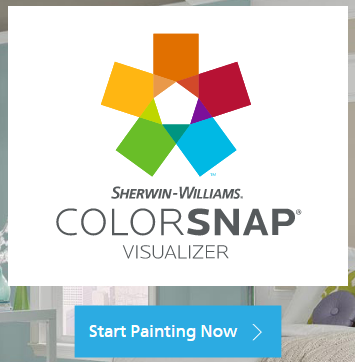 You can even upload of photo of your room so you can visualize what different paint colors will look like. It will even show you how natural light will affect the colors you choose. Handymobi is an app that allows users to organize and share their DIY projects with other people. You can connect with other users who can weigh in on how to plan and troubleshoot whatever you’re doing. No room is complete without some artwork that expresses your personality and tastes. The Artfully Walls Try on Wall app lets you visualize what a print will look like in your room. Upload a picture of your wall onto the app, then virtually add artwork to it. You’ll never have to struggle with putting together a gallery wall again. HomeZada is a must-have app for anyone who needs help organizing their interior design projects. It allows you to track projects and keep up with maintenance needs. Tackling improvement projects in an effort to sell your house? HomeZada has a 3-year home value forecaster and asset inventory library. Whether you’re planning a small DIY project or making over the whole house, these 5 interior design apps can help. They’re also a great source of inspiration if you know you want to change things up but don’t know where to start. If you’re looking to upgrade the look of your home, the best place to start is with a fresh coat of paint. Contact us today for a free estimate! Going into a home renovation project unprepared can cost you thousands of dollars in repairs and labor. It’s essential that if you’re going to do something yourself, you know the right way to do it. Even if you are working with a contractor, there are some basics that you need to establish. It doesn’t need to be a particularly scary or daunting process, but you do need to know what you’re getting into. Here are five home renovation facts to know before your work begins. The preparation that you do will depend on the type and scope of the project at hand. You might have various contractors working on your home at once, or you may just be planning to dedicate yourself to working for a few months on your own. In any case, the following tips will get you set up. Things will come up as you set out on your endeavor. You may be hoping to have everything done so that you can invite the family over for Christmas, or have the pool ready for the summertime. It’s good to have deadlines that keep you motivated, but don’t be too disheartened if things take a little longer due to unexpected realizations that are often only discoverable once you begin. People typically end up going over their budget when it comes to home renovations. Even when you skip the labor costs and do it yourself, large obstacles may arise and require some financial support. Have a clear budget laid out, but keep in mind that there may be costs that vary your budget 10 to 20 percent in either direction for the same reasons mentioned above with timelines. Especially if you are working with contractors, you’ll want to write down what is being done, and when it’s expected to be finished. You should also jot down notes on the labor hours that are being given to your project. 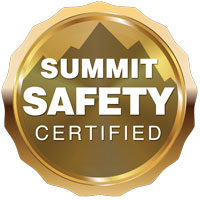 This will help to keep everything in line and allow you to monitor the work being done on your home. It will also allow you to keep tabs on the costs going into the various additions to your home. From appliances to sheetrock, you’re paying the money so you should know where it’s going. Even the most articulate people have a hard time getting others to create their vision. There might be spacial issues to putting in everything you want, or maybe the color scheme looked different in your head. In any case, it’s likely that your home won’t come out exactly as you’d imagined, and it may be better to let it sit and see how it feels to you in a few months. Sometimes, the end result can actually be better than you initially imagined! Without an order to the process, the work you do may have to be reversed in order to take care of, say, a plumbing issue. Try and complete the task systematically in order to streamline time and costs. Everyone could use help to make their home renovation process easier. There are a lot of resources online that can help you with tips and tricks to streamline your efforts. If you’re interested in learning how our team can help with your home renovation project, click here to request a free estimate!